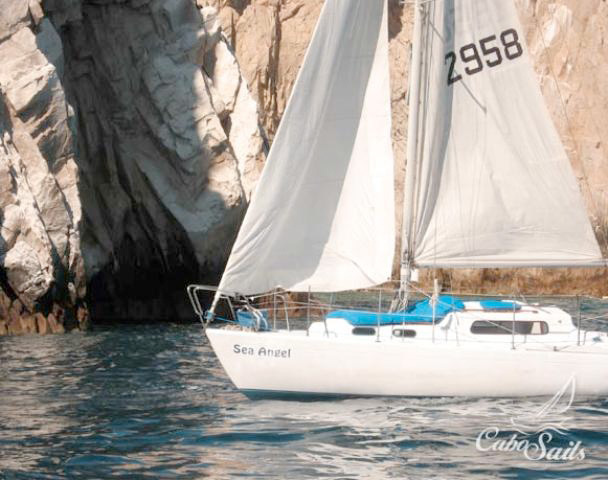 Sailing cruises are an absolute must for every Cabo San Lucas vacation. 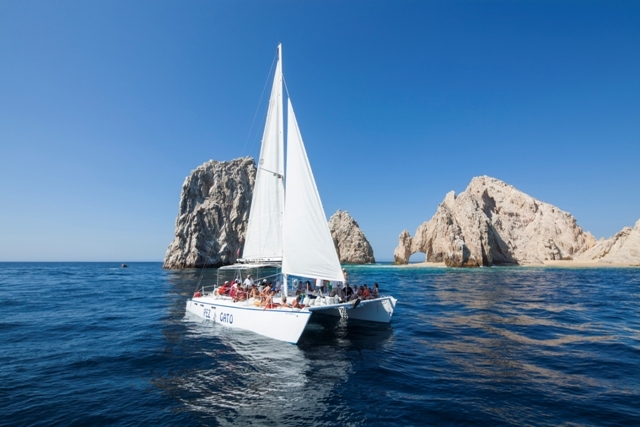 Touring the Cabo San Lucas Bay provides excellent views of the iconic arch at Land’s End as well as other Los Cabos landmarks. This is also the best opportunity to snap the requisite you-in-front-of-the-arch photo. 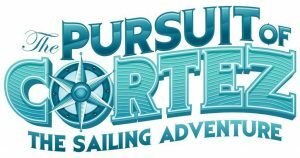 There are several sailing options. 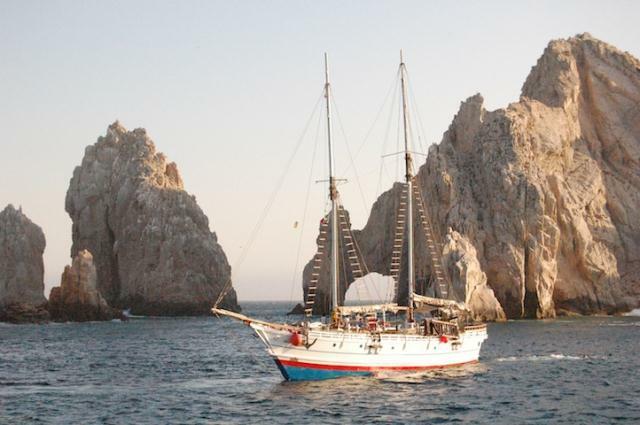 Party, dinner, and sunset booze cruises depart the Cabo San Lucas Marina nightly. 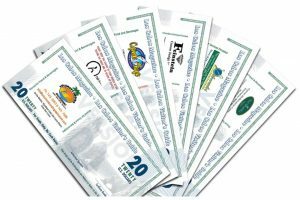 Each has its own personality, and you can enjoy everything from from smooth jazz to Jersey Shore–like partying and a fiery Argentine floor show. Take your pick between catamarans, trimarans, sailboats, snorkeling tours, pirate ships, and more. Cabo Blue is the only boat in its class: trimaran is built on a solid hull totally designed and made in fiberglass detail offering better stability and hence greater security. 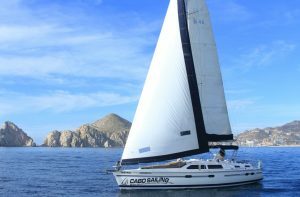 CaboSports.com has launched the Cabo Sailing School and is now offering a Melges 24 sailing and racing school here in Cabo San Lucas, Baja California Sur, Mexico. Join the crew aboard the “Encore”, a 60 foot racing yacht. Snorkeling trips to Bahia Santa Maria as well as sunset cruises. With room for up to 25 people, the Encore can also be chartered for private trips. Lunch and beverages are served on the snorkeling cruise and all equipment is supplied. 42 ft. Trimaran: Snorkeling tours to Santa Maria Bay and “Sunset Booze Cruises” with music. Departures daily from the main dock. Sail times: daily 10:30am to 2:30pm; Friday 11:30am to 3:30pm; Daily afternoon cruises 6pm to 8pm spring/summer; 5pm to 7pm fall/winter. Sailing, Snorkeling, Sunset Cruises, Whalewatching (in season), Corporate Leadership Sailing Programs, Private Charters. Family owned and operated, sail on the famous, authentic, historic sailing vessel Talofa. 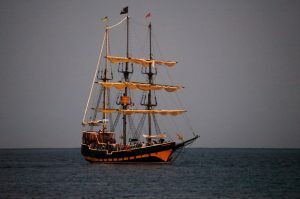 100 ft. long and over 80 years old, step back into time and learn about the rich pirate history of Cabo San Lucas onboard our treasure ship!! !